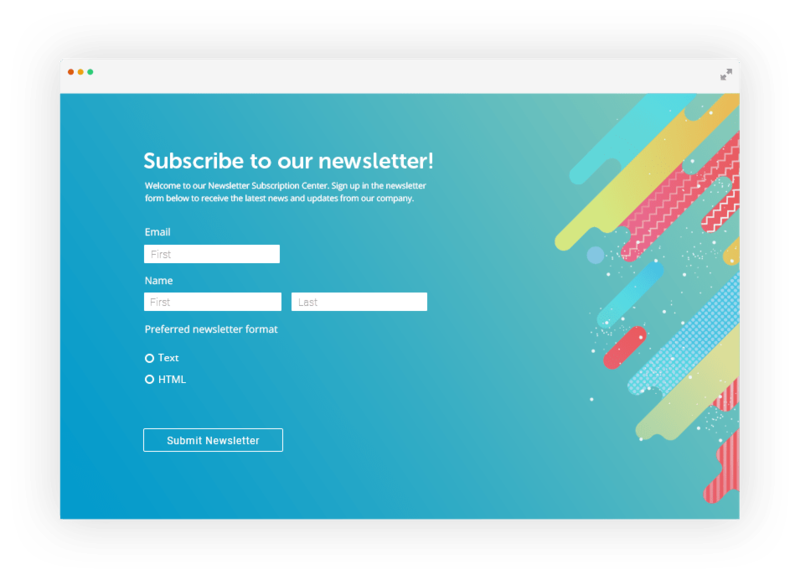 Integrate your web forms with Constant Contact and see how email marketing and surveys can boost audience engagement. Grow your mailing list from your own website. and nurture a fruitful relationship with your visitors. 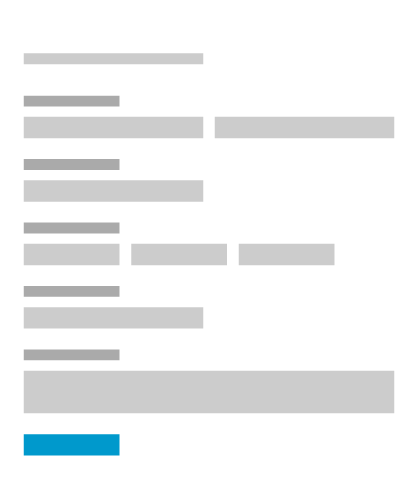 Thanks to 123, any website can have forms and surveys that are easy for visitors to use and simple for you to manage. 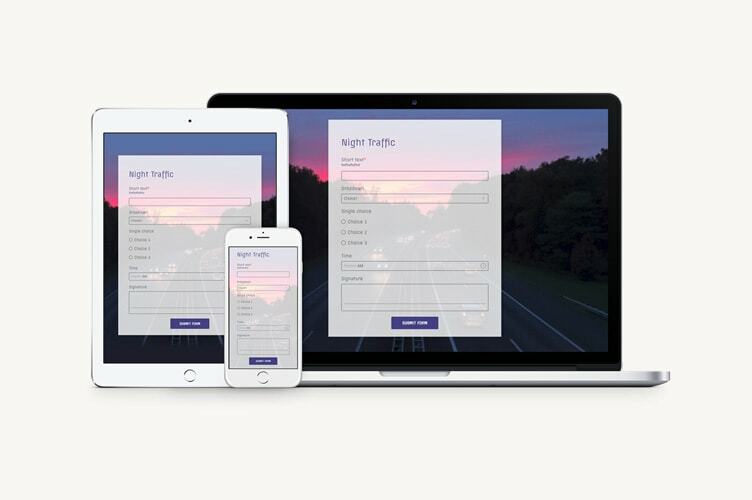 Add an opt-in checkbox and connect to Constant Contact and earn new subscribers from your very own web form. 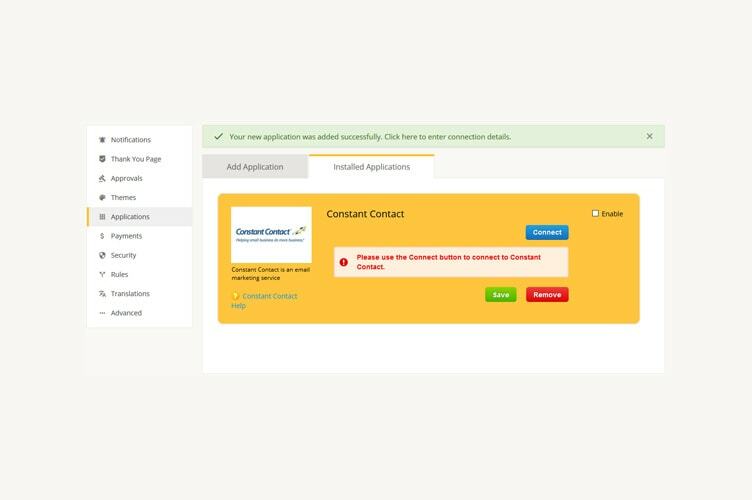 Take advantage of the advanced list management features in Constant Contact. 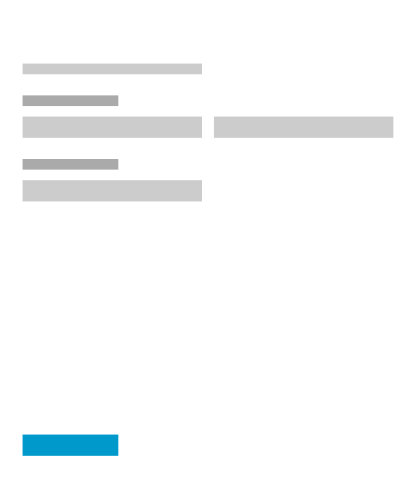 Each form submission can trigger a welcome email or update existing contacts. 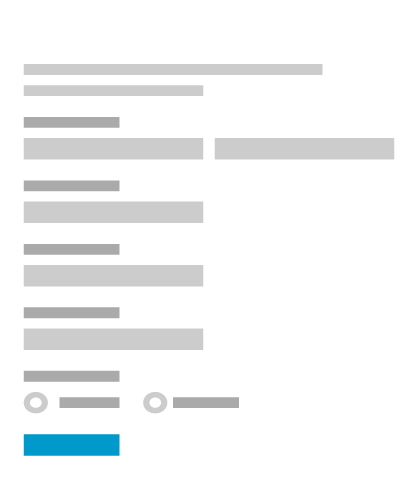 Select Constant Contact under Settings → 3rd Party Apps and click Add. Then click Connect to login to Constant Contact and link the accounts. 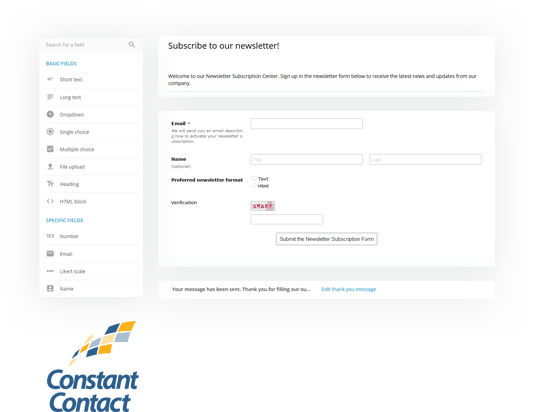 Choose a mailing list to accept your form submissions, then map your form fields to the desired contact information. For detailed help, see our documentation.